My Husband (It still feels weird to call him that.. I still want to call him by boyfriend) – He is my rock. We may not see each other that often, but when we do, we make the best of it. He is always there for me, and I am so lucky to have him. My Animals- They keep me sane and insane at the exact same time. With being home by myself 5 nights out the week, they really do keep me good company. I could do without the shedding and barking.. but I guess that comes with them! My House- I know how blessed I am to have such an amazing house for my age. My parents helped us pick out the house and my sister has helped me all with designing! It is finally starting to become our little home! Justin’s Work Schedule – This year Justin is off Thanksgiving and Christmas Eve & I am so excited! He has to work Christmas day, but I’ll take what I can get! I am just excited he is off for Christmas Eve! It is the little things in life! My Life- Of course I have hard the ups and downs, the highs and lows of life. But my life is amazing. I have everything I need. I am so blessed to be able to spend thanksgiving and the Holidays with the love of my life & my family. 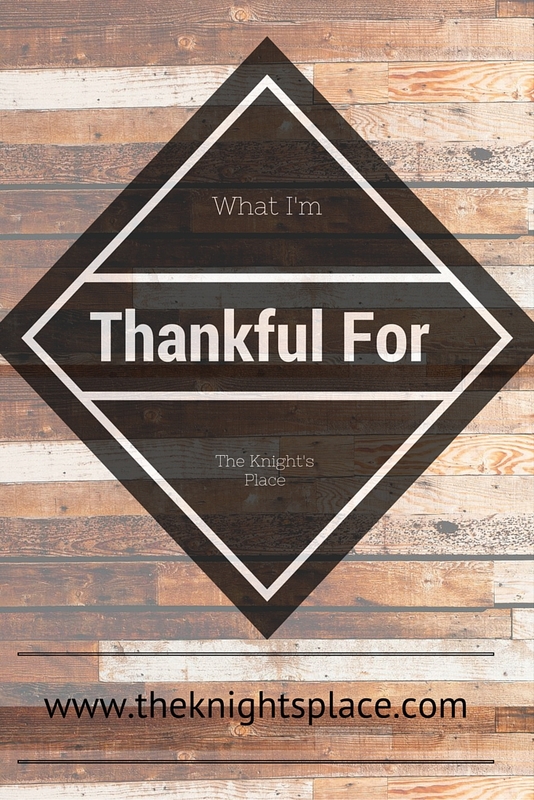 Link up your post below, and share what you are thankful for!